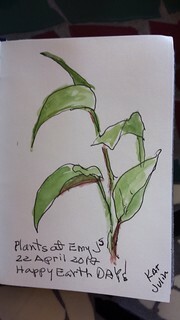 On Saturday, April 22, EARTH DAY, Let's meet up at 9:30 a.m. at Emy Js http://www.emyjs.com/ for the 55th World Wide SketchCrawl. 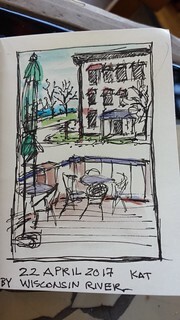 Lots to sketch around Stevens Point for the day. Let's set a time to meet back up then to share our work for the day! 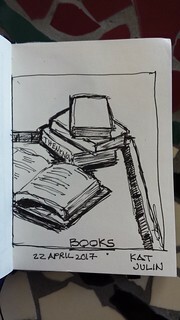 Looking forward to the SketchCrawl once again! 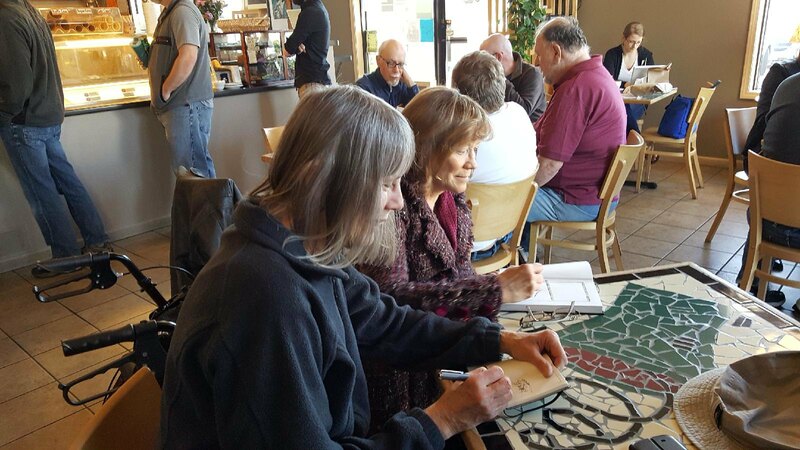 Good to have Denise join for a Meet Up for the 55th World Wide SketchCrawl, this frosty sunny "Earth Day" morning in Stevens Point. Walked down for the Science March photo joining up with Karen on Main Street and then over to Emy Js for the Sketch Crawl with Denise. 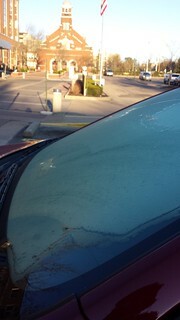 Passed sunny views and frost on car windows on the way. Yay, Denise, for joining in today!!! 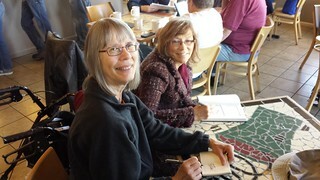 Kathe and Denise sketching at Emy Js this morning. 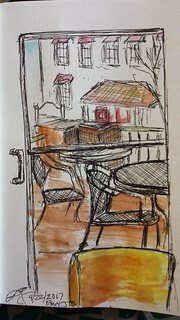 Sketch by Kathe - Looking across street and hill to Wisconsin River in distance. 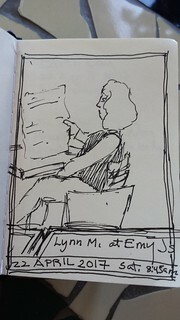 Sketch by Kathe - Lynn reading the newspaper at Emy Js. 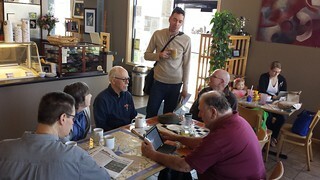 Show and tell with the Emy J coffee group! 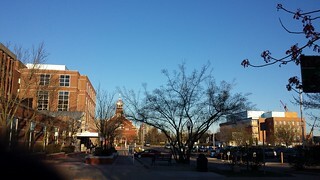 An a couple of views of Stevens Point walking over to the Earth Day March for Science in Stevens Point https://www.facebook.com/events/1166428016789939/ and the 55th World Wide SketchCrawl at Emy Js this morning. Nice to have a sketching partner today! Thanks for joining in, Denise! 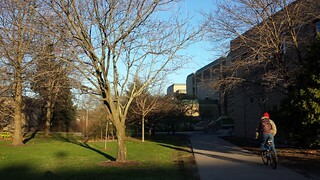 Very nice; hope to see even more! Wanted to add one more photo of the day which overlapped with the SketchCrawl - the craft of bees and showing how important they are on Earth Day. Pamela Corcoran made these and the group held them for a photo on the March for Science. Thank you, Travelsketcher! We will keep the sketching going. Glad to be a part of this group and get the encouragement. 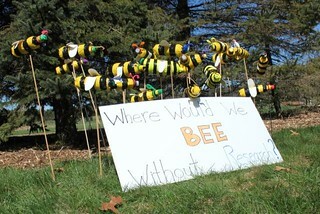 Good appreciation of Earth Day.Several of ours were in the March. Thanks, Mark, it is neat to see how things get tied together. 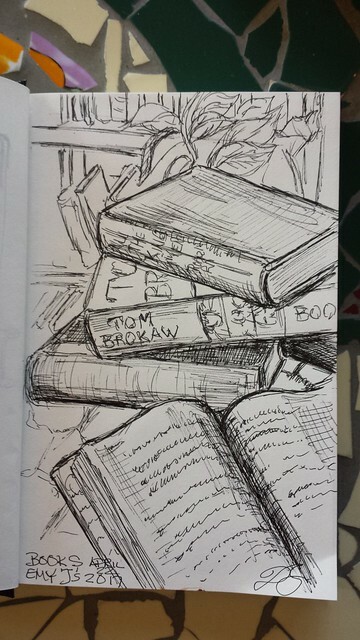 Looking forward to the next Sketchcrawl!